elasticsearch: Java 1.8+ is required to install this formula. Installing from source is another option. Java 8 (only Oracle’s Java) is the prerequisite. Check if Java is installed on your machine. Go to https://artifacts.elastic.co/downloads/elasticsearch/elasticsearch-5.4.0.tar.gz.sha1. The downloaded file will contain the sha. Compare the sha output from the terminal to the sha in the downloaded file. They should match. These steps in this article are tested on Mac OS. If you want to install it on a production box running Linux, you can use Ansible playbook for Elasticsearch. It is tested on Ubutu 14.04. 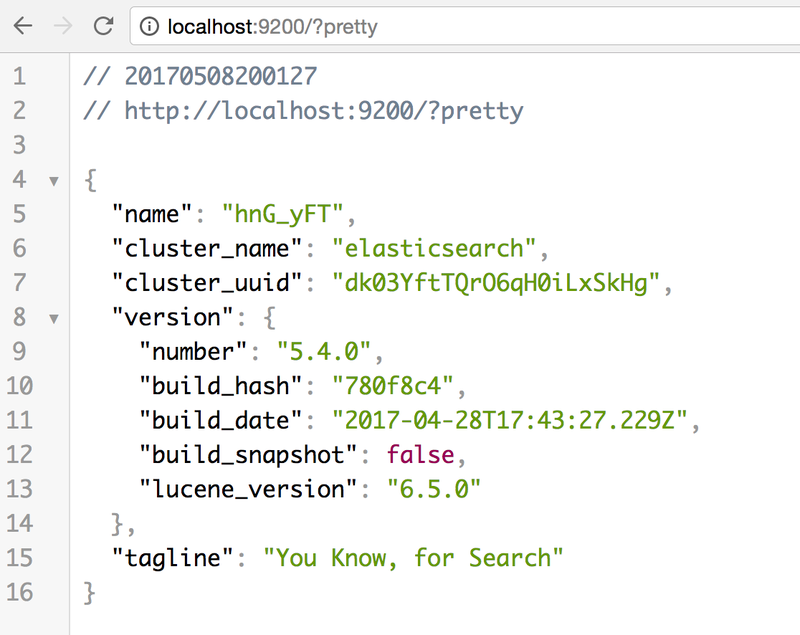 Where is the Elasticsearch home directory? You can see it in the output as path.conf, this directory has the elasticsearch.yml file.